A relatively healthy fringe reef establishes the outer perimeter of the Turneffe Atoll. Along the Eastern and Northern sides of the atoll, their is a well-formed reef crest with extensive backreef flats. On the Western side of the atoll the top of the reef is mostly below the surface beginning at sea level and extending to depths of around 60 feet. 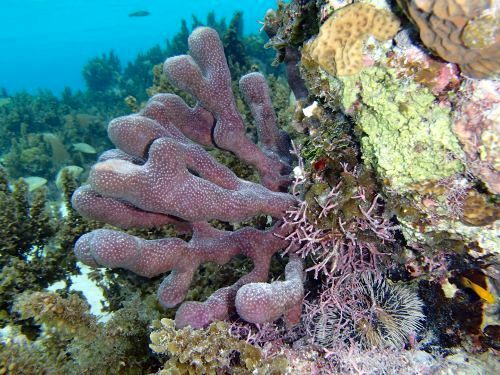 In addition to the Atoll's fringe reef, several areas at areas at Turneffe are endowed with extensive patch corals. 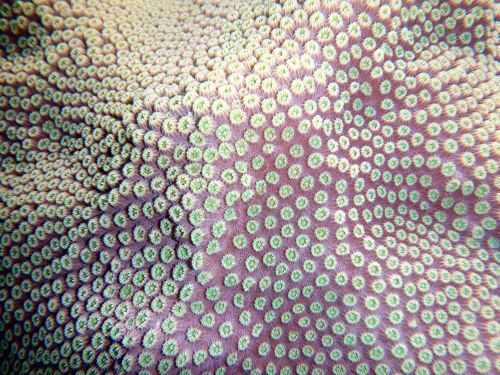 The most prominent areas of patch coral are in the Northern part of the atoll between Mauger Caye and Vincent's Lagoon; however, patch corals are found throughout the atoll. 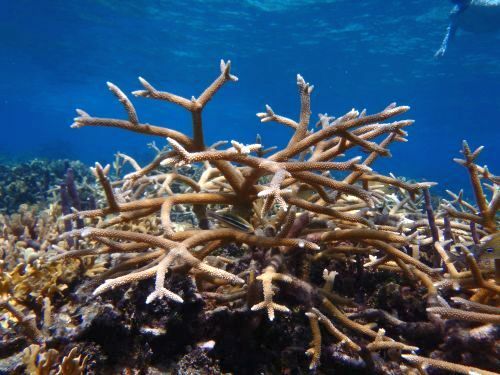 Below are Links to some pertinent publications related to coral. Kao, H.-T., et al. (2007). "Dynamic regulation of fluorescent proteins from a single species of coral." Marine Biotechnology 9(6): 733-746. Mumby, P. J. (2006). 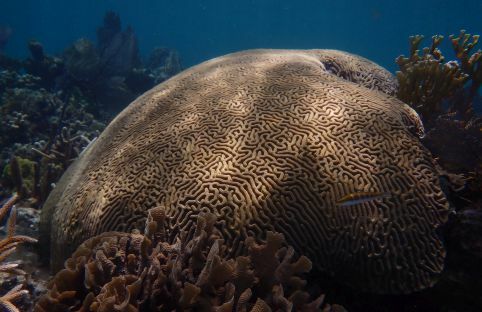 "Connectivity of reef fish between mangroves and coral reefs: algorithms for the design of marine reserves at seascape scales." Biological Conservation 128(2): 215-222. Almada-Villela P, Mcfield M, Kramer P, Kramer PR, Arias-Gonzalez E. Status of Coral Reefs of Mesoamerica – Mexico, Belize, Guatemala, Honduras, Nicaragua and El Salvador.Edited by C. O. Wilkinson. 2002. Carilli J, Charles C, Garren M, McField M, Norris R. Baseline shifts in coral skeletal oxygen isotopic composition: a signature of symbiont shuffling? Coral Reefs 32(2): 559-571. 2013. Carilli JE, Godfrey J, Norris RD, Sandin SA, Smith JE. 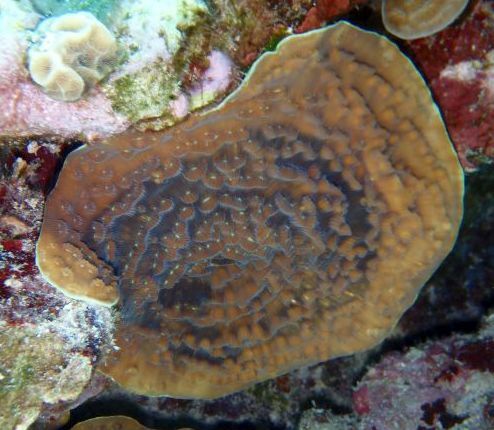 Periodic endolithic algal blooms in Montastraea faveolata corals may represent periods of low-level stress. Bulletin of Marine Science 86(3): 709-718. 2010. Carilli JE, Norris RD. 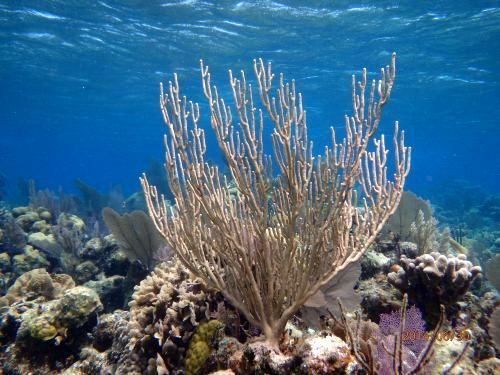 Threshold decline in Mesoamerican coral growth and resiliency. Nature Precedings 10101. 2008. Carilli JE, Norris RD, Black BA, Walsh SM, McField M. Local Stressors Reduce Coral Resilience to Bleaching. PLoS ONE 4(7): e6324. 2009. Carilli JE, Prouty NG, Hughen KA, Norris RD. 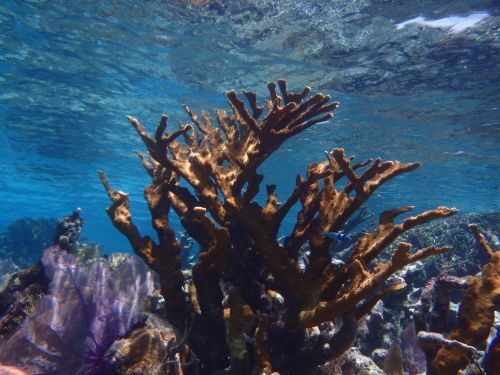 Century-scale records of land-based activities recorded in Mesoamerican coral cores. Marine Pollution Bulletin 58(12): 1835-1842. 2009. Soto I, Andréfouët S, Hu C, Muller-Karger F, Wall C, Sheng J et al. 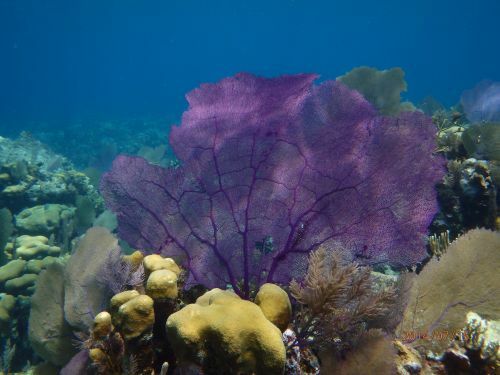 Physical connectivity in the Mesoamerican Barrier Reef System inferred from 9 years of ocean color observations. Coral Reefs 28(2): 415-425. 2009. Wild C, Jantzen C, Kremb SG. 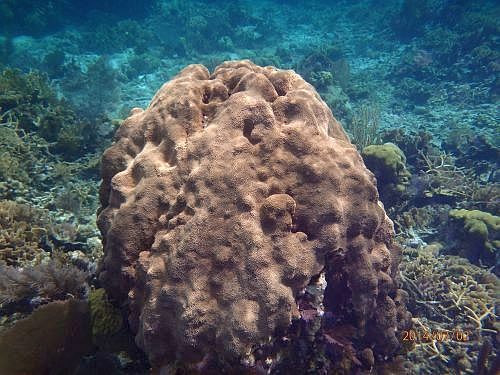 Turf algae-mediated coral damage in coastal reefs of Belize, Central America. PeerJ 2e571. 2014.